TRT Exercises: Are They REALLY Effective? An important part of Tinnitus Retraining Therapy (TRT) comprises of TRT exercises . Tinnitus Retraining Therapy is a treatment for tinnitus which is an auditory condition that produces abnormal sounds in the ear in the absence of any external sounds. Since this condition has several causal factors there are as many opinions and devices to either treat the condition or ‘so called’ expert opinions that declare it untreatable. 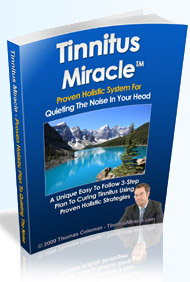 Some of these treatments that offer a solution to tinnitus are in effect only relief producing and placeboes in nature. TRT is one of those tinnitus treatments that have been known to offer great deal of support, understanding and relief to people who have to live with the condition of tinnitus. However, TRT does not claim to cure tinnitus – indeed, it does not relate to the symptomatic causal aspects of the condition at all. All it does is help a person to effectively cope with the tinnitus sounds – using well researched methods of ontological and audiological diagnosis. The basic principles of TRT uses a combination of low frequency noise generators along with counseling and some simple exercises to fulfill the intention of TRT – which is to gradually inculcate habituation of the tinnitus sounds while removing all negative associations of the condition. TRT in short forces the human mind to refocus on sound perceptions in such a way so as to make the tinnitus sounds seemingly irrelevant. While the use of specific noise generators along with appropriate counseling is a major part of Tinnitus Retraining Therapy, TRT exercises has a place of significance as well. The essence of the TRT exercises is a few basic self disciplinary activities one needs to carry out on a regular basis in order to make the entire TRT treatment successful. All of these basic steps are required to be done very gradually over a long period of time. Sometimes the entire process can take as much as 12 to 18 months or more, depending on individual response to the TRT exercises and regularity of the exercises. Positive results can be attained when TRT exercises are practiced diligently along with holistic methods of trying to cure the root causes of tinnitus.